We are focusing on the supply of high quality metal parts and individual support of our customers for technical solutions. To do so, our quality management system has a high priority and is the backbone of our whole company structure. Quality and safety of our products, services and for our employees are two of our key values. As we produce up to millions of metal stamping parts per year, it is inevitable to minimize all possible sources of defects even before the mass production starts. Therefore, we design our production and quality assurance processes carefully and permanently evaluate and improve them. 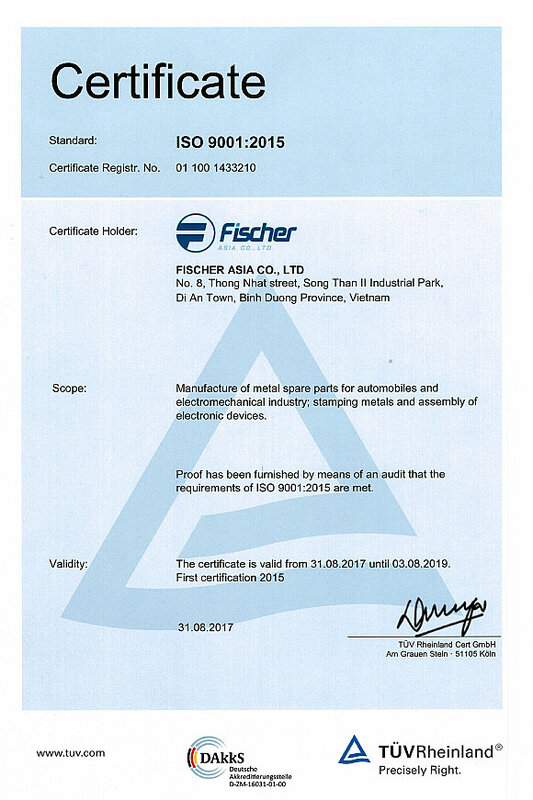 We are certified according to ISO 9001:2015 which enables us to fully satisfy all quality expectations of our customers.